USA artist Robin King creates designs inspired by her collection of antique prints, textile designs and French toile fabrics. Every one of her items is made to order and by her hand with a 12-step process that includes her own signature antique crackle finish. 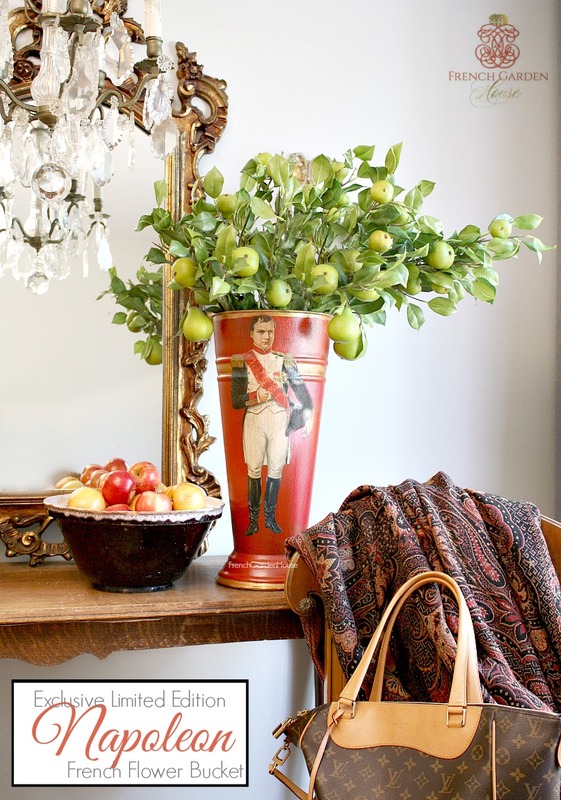 Fabulous decorative French Floral Bucket, the decorative statement piece you are looking for to bring cachet to your home this season. 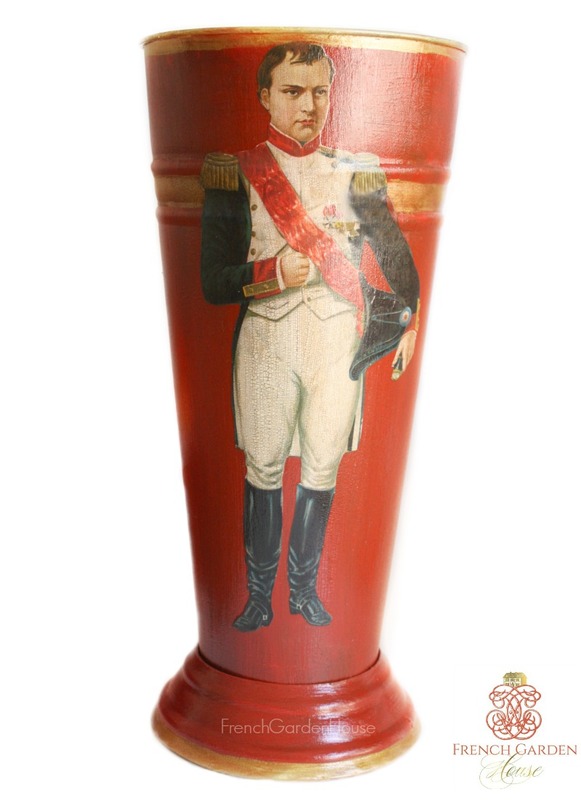 This extra large French metal bucket has a stunning image of Napoleon. Beautifully made, designed exclusively for us, each piece is hand painted in French Red, then decoupaged and hand finished in an exclusive 12 step process by the artist, ending with her signature craquelure finish and antiqued. Signed and numbered on the bottom. Display with a glorious array of antique walking sticks, filled with garden branches as the centerpiece of your grand entrance hall, your dining room, livingroom, anywhere and everywhere you need a beautiful touch of France. 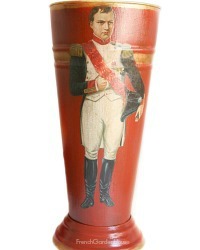 Makes a statement in a gentleman's study or library, a treasure for the Napoleon collector! Round standing base is removable. We have a very limited quantity, exclusively for FrenchGardenHouse.